On Friday I went with Sarah (much to her chagrin) to see the Raconteurs at the WaMu Theater. The WaMu Theater, for those who haven’t been, is attatched to Qwest Field, where the Seahawks* play. It is essentially a large concrete box with a stage set up at one end and chairs set up on risers on the other end. 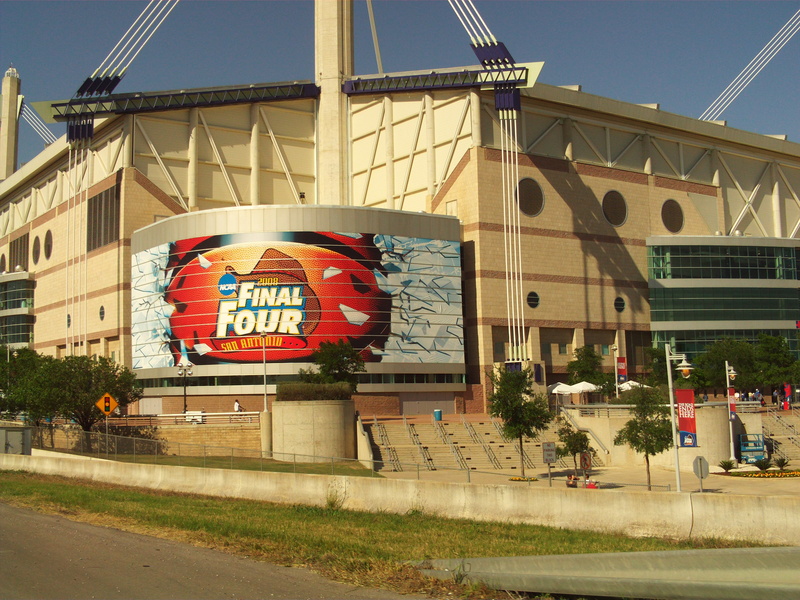 It is very similar to Reliant Arena in Houston, except it is actually attached to the football stadium. We had general admission tickets, which I beleive is the only sensible way to see a rock concert. We were close enough to see the performers facial expressions and the spit fly from their mouthes when they were singing. The sound quality was quite good, and certainly much better than seeing a show in a large arena or stadium. The opening band was a duo named the Kills. I know I had heard their name before the concert, but I couldn’t tell you anything about their music. I still can’t, really. I really liked their style. They rocked really hard, and Sarah loved the lead singer “VV” who was totally wild on stage. She was thrusting and moaning and smoking through their whole set in her bright pink pants. Sometimes her long hair would completely cover her face from all the thrashing and she would sing for a while looking like a grown up version of the girl from the Ring. Their music was based off the guitarist (who claimed to be on heroin), the lead singer, and a variety of thumping, driving baselines from a drum machine. Their sound was very base and almost pornographic, but I think that’s what they were going for. I really wanted to like their music, but I just couldn’t. I think their music is probably like a jackhammer. It looks like fun, and it is fun for the operator, but when you’re just standing there taking in the noise and breathing in the smoke it’s rather unpleasant. The Kills played for about 45 minutes, and then there was about a half an hour until the Raconteurs came out. There wasn’t much of a set change, as all the Raconteurs equipment was already on the stage, covered by tarps. Naturally, when they came out the place errupted. Most people were yelling directly at Jack White. We were very close to the stage, though outside of the mash zone. They were simply awesome. The whole band is amazing. I didn’t realize exactly who was singing what and who was playing what until I saw them live. Their other guitarist besides Jack White, Brendan Benson, was spectacular. Some of the solos on the album which I assumed were Jack White (because they were so awesome) were actually Brendan Benson. Brendan Benson looked like he had been pulled directly from Almost Famous in order to be in this band. At least for this show, whenever there was an accoustic guitar in the song it was played by Jack White, which surprised me. The keyboardist was pretty good, and could sing really, really high, to the point that it sounded eery. The drummer was good, as was the bass player, who looked like a gnarly lovechild of Wayne and Garth from Wayne’s World. But the star of the show was Jack White. His stage presence was tremendous. His voice is truly unbelievable. His guitar solos rock. I expected the show to be short, as they only have two albums, and it was pretty short as concerts go. Still, I have no idea how he lasted the whole show. His voice is screeching yet powerful and not at all irritating. I couldn’t do it for a minute. He sounded that way even when he was just speaking to the crowd. He didn’t try and follow the cadence of his singing from the album at all, although the rest of the band tended to. He played keyboard in some of the songs, and seemed to be experimenting with different sounds to the keyboard than were used on the album. He used a regular microphone most of the time, switching sometimes to a screamer-muffle type microphone, like the one Issac Brock from Modest Mouse uses often. His guitar solos were awesome and metal, better even than my favorite solos from the album. The ending was really well scripted. They played three songs for their encore, the last of which was Carolina Drama. Hooray for you! Hooray for me! Hooray! Hooray! Hooray it’s iPhone day! Well, it was actually 13 days ago. I decided to wait a bit before writing about my iPhone experiences, since I knew I would be completely overcome with glee and entirely unable to be critical when it first arrived. To some extent that is probably still true, but I think we’ve reached the point of diminishing marginal critical distance. At the risk of sounding hyperbolic, I’m just going to come out and say it. It has changed my life. More so than any other device or technology I have ever been lucky enough to have, I have found myself able to optimize and streamline, improve and expand, add value and reclaim lost time with my iPhone 3G. Instead of sitting at my desk and reading my feeds in the morning (my custom version of a morning paper), I read them on the bus. Instead of taking out my work laptop, setting up my KVM, and firing up the VPN to check work email, I pull my phone out of my pocket and skim through the relevant mail. Last week, when I needed to find my new dentist’s office, I looked it up on my iPhone, located myself using the GPS, and quickly found the office. I no longer need to carry a separate phone and music player – it’s all rolled into one compact and highly usable device. I have my work and personal calendars with me at all times, as well as my personal To Do list. I have a serviceable camera with me at all times, allowing me to snap a photo when I don’t have my camera with me, and email pictures of a cool location while I’m still there. All of this functionality is built in out of the box. But ohhhh the applications. For the first time on a mobile device, I can experience the joy of downloading a new app and adding functionality that we’ve all come to take for granted with our home PCs. Yes, I have to live with the tyrany of Apple and their blacklisting, but it’s the most open we’ve had so far. I’ll try to focus here on applications that don’t duplicate existing web functionality ( Facebook, NYTimes, I’m looking at you kids). There’s the streaming radio applications, most notably Stitcher, which stiches together audio on a given subject and streams it over the 3G connection. There are applications that take advantage of the iPhone’s location awareness, like Yelp which provides reviews of nearby restaurants, GasBag which finds the closest/cheapest gas, and Trulia which finds nearby properties for sale. Then there is Evernote, which lets you easily and seamlessly upload notes and pictures to remember for later. I use this to take a picture of the blood pressure machine at the pharmacy, so I have an easy way to record my blood pressure over time. And there are games. Lots and lots of games. Obviously the iPhone does not have the input devices that a dedicated mobile gaming system has. However, more and more games are coming out for the iPhone every day, and more than a few are pretty serious. These games are on the level one could expect from a circa 1996 console game. Obviously this is not ground breaking, but as EA and others gain experience with the platform and better understand it’s input characteristics, I think we’ll see the power of the system come through in the form of engaging mobile games. And hopefully less of these tilt-to-turn cookie cutter racers. Is anything bad? Not really. Battery life is not great, but my requirements for a phone is that it make it through a day, and it does that just fine. It isn’t a tiny phone, but it really isn’t much wider than my old cell phone, and it is significantly thinner. I have had some dropped calls, which may be attributable to either Apple or AT&T, and that is annoying. However, considering how much my life has been improved by this new piece of technology, I’m willing to deal with a few dropped calls. The iPhone is an amazing device, but I wouldn’t recommend it for everyone. If you don’t want to be more connected, don’t get the iPhone. If you don’t want the Internet to be a bigger part of your life. There are better devices for making calls, better GPS devices, and arguably better music players. But if you are like me, you need an iPhone. I have two important location changes to report: 1. My blog is now located here at ifedeli.com. 2. I am now located in Seattle, WA. Sarah and I have moved here to Seattle (specifically Lower Queen Anne for those interested) so that I can work for Amazon.com, which is based here. I live and work in the city, and take the bus to work. Our apartment is nice, although still a work in progress. I am still adjusting to work, and we are both still adjusting to this city, but everything is getting better all the time. One very bright little spot is our new dog, Dugan. We think he has Corgi, Sheltie, Terrier, Dachshund and maybe more in him. He is almost 8 months old and very rambunctious. He is a sweet dog with a good nature, but we’re still working on obedience and avoiding “accidents”. As far as this blog goes, expect more of the same, but hopefully more often. The ifedeli.com domain may branch out into other areas later, but for now it will essentially be the same deal as my old wordpress.com blog. You can expect the visual style of this page to change, just as soon as I figure out what to change it to. On a side note, I’m using Dreamhost for hosting, and even though it’s only been a day so far, I’m quite pleased and feeling optimistic about it for the future. I got $50 off and 3 free domain registrations, and once click installing WordPress was painless. They also support Google Apps for Domains (so I can use gmail if I make a *@ifedeli.com address) as well as a Jabber server and one click subversion repositories. Nice! 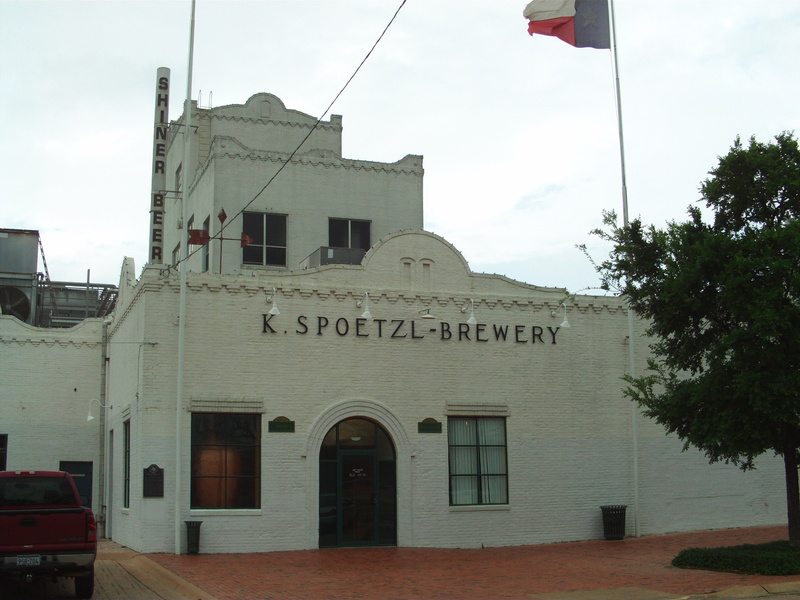 Last Friday, some friends and I made the pilgrimage to Shiner, TX to visit the Kosmo Spoetzl Brewery. As it’s location suggests, this brewery is responsible for the tasty brews that make up the family of Shiner beers. We had been meaning to make the trip, and with the Spring Recess upon us and Graduation closing in fast, we finally did. It was fun! First of all, unlike the St. Arnold’s brewery tour, there was actually a tour. We were taken through the area where the beer is brewed, with its great big copper vats, and then onto the bottling area, which was really fun to see. I’ve never seen a bottling facility in person, and I was amazed by the speed with which the process occurs. The tour guide gave some incredible figure about the amount that was bottled per minute. I can remember what it was, but it seemed absurd. 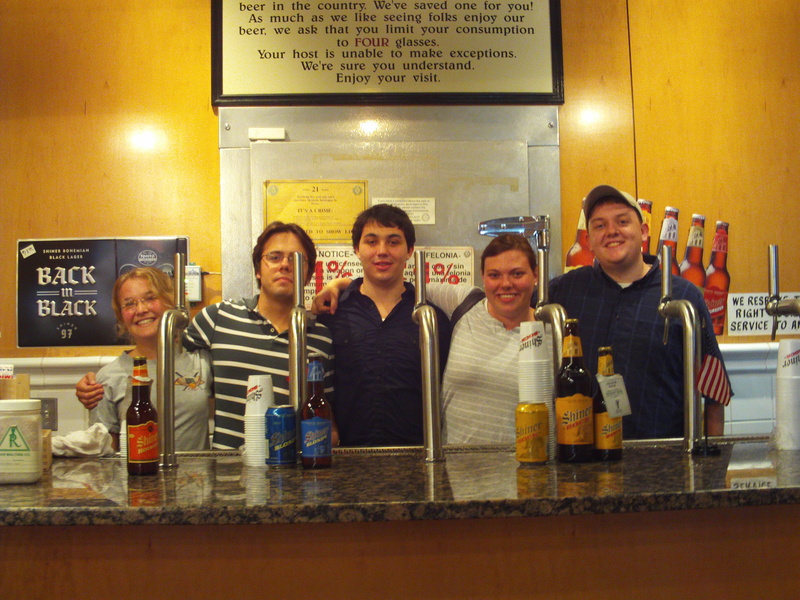 Also, there was a beer tasting session in the gift shop area. The beer was as good as it normally is, but not better. This was somewhat surprising, but Shiner in the bottle is pretty damn good to begin with. We got to take lots of pictures, and I bought a sign! Then, somewhat spontaneously, we continued on to San Antonio. Many in our party had never been, and those who had were eager to return. San Antonio is a beautiful city with a stellar downtown. It is the face Texas should, and to some extent does, show to the world. It is also everything that Houston is not. We had a great time walking around the Alamo and the Riverwalk. We had dinner at a Tex-Mex place named Casa Rio which was (you guessed it!) right on the Riverwalk. The food was modestly priced but unremarkable. The best part, however, came from the influx of college basketball fans, who were in town for the Final Four, which was to start the next day. It seemed the entire town was clad in Blue, Blue, Blue, and Powder Blue (4 number 1 seeds, all with the color blue as their primary color? All I ask is for some diversity of hue!). Apparently, Bob Knight and the ESPN college basketball crew was broadcasting from the Riverwalk that very day, but it must have been in the morning before we were there. It was fun to see all the different people and where they were from. All in all, it was a great trip. Stay tuned for more pictures. After a whirlwind week back at school, I finally have a few minutes to describe our Spring Break vacation at South Padre Island, TX. We had a really great time. For those of you who have been to the Outer Banks of North Carolina, South Padre has a very similar feel. Essentially, it’s one big long island (there are only two roads running up and down). It doesn’t appear to have any business other than tourism, which was just fine for us. There were some good restaurants, though honestly none of them were any place I would be inclined to go if they were in Houston. No, the reason we went was for the beach. And it was a good reason. The weather while we were there was a tad windy, but it was sunny and warm every day. We played bocce, wiffle ball, and football during the day. We relaxed and drank at night. It was grand. It was great, and hopefully I’ll get to go back soon. On Tuesday, I went to see Barack Obama speak at the Toyota Center, along with 18,500 other people. As you can imagine, it was pretty intense. We arrived at 4:30, discovering that the lines were already HUGE. Lines were snaking around corners. The majority of people there were on standby, meaning they had no tickets and no guarantee of getting in. The mix of people was pretty diverse, from yuppies to thugs, children and college students to old people and everything in between. The crowd was predominantly black, although there were alot of white people too. There were not many Hispanics, which is somewhat discouraging. They started letting people in at 6. Entrance to the building was orderly and rather swift. Once inside, however, it was a mad house. They had no way of controlling the flows of people, and there was no sense of order whatsoever. We must have walked around for 45 minutes trying to find seats. We eventually got into an area they had just decided to open up. We had to pass through metal detectors (presumably because of our proximity to Barack), and show the security guards that all of our electronics were functioning. Some people, including Sarah, were wanded as well. Once we were inside, we managed to find seats near the back of the section. The seats were very good though. They probably cost hundreds at a Rockets game. They were the first level, behind and to the left of the podium for Barack. We were there at about 7, fired up and ready to go. First, a band with sequin encrusted shirts played a bunch of soul music, which was quite good. Then, three different speakers, all of whom were women, showed up and spoke about voting and Barack and how the crowd should be excited because the entrance of Barack was imminent. They also led the crowd in some cheers like Yes We Can. At about 8:30 (as I had predicted), Barack came out to speak. The crowd went absolutely nuts. The only time I have every experienced the intensity I did for Barack’s entrance was at an Astros NLCS game and at an Incubus concert, 30 feet from the stage in the mashpit. …and pictures hosted by flickr. If you are ready for change, if you’re really ready, then we can start restoring some balance to our economy. I believe in the free market. I know Texans believe in entrepreneurship. We are an independent and a self-reliant people. We don’t believe in government doing what we can do for ourselves. But when we’ve got CEOs making more in 10 minutes than ordinary workers are making in a year and it’s the CEOs who are getting a tax break and workers are left with nothing, then something is wrong, and something has to change. I was stunned when nobody clapped for the part about “I believe in the free market.” I clapped and yelled as loud as I could. However, during the “CEOs making more in 10 minutes than ordinary workers are making in a year” part, he got extremely loud cheers. I think it is interesting which bits of his rhetoric really resonated with the crowd. I’m not surprised, but I am disappointed. Anyway, you can read the speech at the New York Times, as well as some analysis. Also, Obama’s website has a short clip of the actual speech. It’s getting hard to contain my excitement and my expectations for the upcoming baseball season. 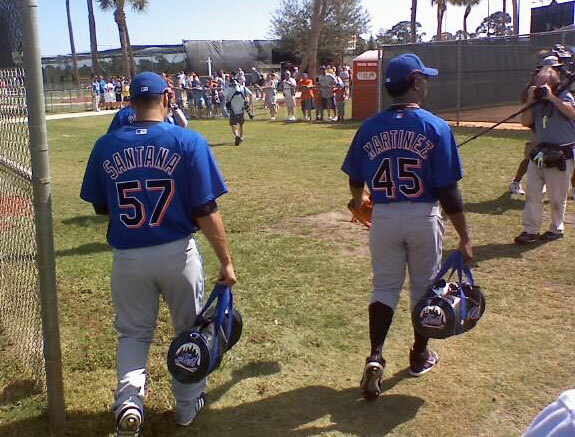 I was excited before the Mets traded for Santana. Now I’m ridiculously excited. The media isn’t being much help either. And the Mets really might be the best team in baseball, regardless of what league they happen to play in. How am I supposed to deal with that? LETS GO METS! LETS GO METS! LETS GO METS!